Finalize outcome statement(s) based on insights gained in developing results chains and strategy maps. 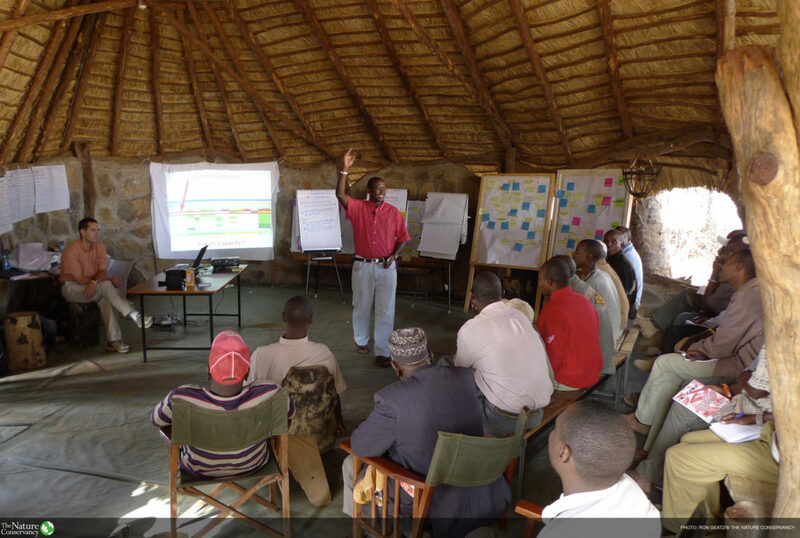 Describe the conservation challenge, the solution, and why your organization and/or team is positioned to implement the solution in a succinct way that colleagues, partners, stakeholders and funders can understand and support. Succinctly state the conservation challenge. 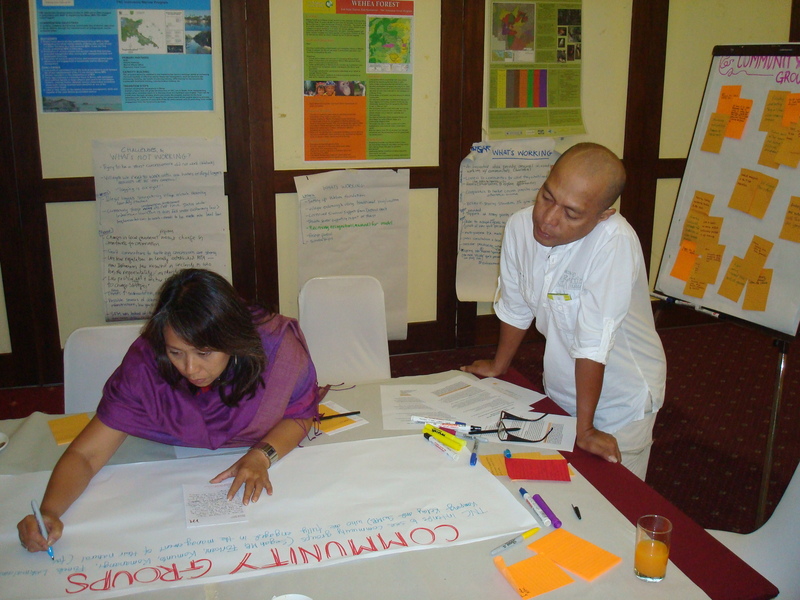 Succinctly state the conservation challenge using information gathered from the situation analysis and results chains. The Annie E. Casey Foundation offers this practical tool for action, results and learning. What is this thing called ‘Theory of Change’? The USAID Learning Lab provides this comprehensive (and witty!) overview of Theories of Change, with links to additional useful resources. Articulate the solution using the logic of the key steps from the results chain. Note where logic steps currently lack evidence. Define desired outcomes for conservation targets and human well being interests that strategy implementation will achieve. Final outcome statements should meet or exceed the minimum goal generated previously. Outcomes are what we will manage progress of the strategy towards and hold ourselves accountable for delivering. What we are trying to change described in specific terms, such as acres of habitat, or population size of particular targets, or meeting water quality thresholds for particular pollutants. The magnitude of change, expressed in measurable units (either absolute units or percent change against a specified baseline). Specific measurable indicator that will be used to assess achievement of the result (see further discussion of indicators in measures and monitoring section). The Center for Theory of Change supports a global learning community, and offers a number of free and paid resources including example ToCs, webinars, publications and presentations. Explain why your organization or team is well suited to implement this strategy. Include an evaluation of your organization's niche, strengths and weaknesses relative to other actors. There are resources available in Section 2 of the Conservation Partnership Center that can help you do this. Explain any specific enabling conditions, opportunities, or threats that make implementation of the strategy timely. The Nature Conservancy’s Capacity Development and Partnership staff created this illustration of the Conditions for Success that are essential to the long-term sustainability of conservation initiatives. If enabling conditions are currently not present, how will you create those conditions? If creation of enabling conditions is necessary, ensure that this is explicitly included as a part of the strategy. Articulate any key assumptions that underpin the strategy. These would be high level assumptions about the enabling conditions, timing, capacity, effectiveness, etc. that successful implementation of the strategy depends upon, but were not previously captured in development of the results chains. Is the logic describing why your strategies will lead to the stated outcomes clear, supported by strong results chains and evidence, and compelling to those reading your theory of change for the first time?